Well, it’s over. The great North American solar eclipse tracked across America as crowds gazed into the heavens with their protective eye glasses in cities and towns nationwide. Some people – within the narrow path of totality – saw a total solar eclipse for a few moments, the first in this country in 38 years. “I was in the totality path…and holy crap it was absolutely gorgeous,” wrote a South Carolina Instagram user named combustioncat. 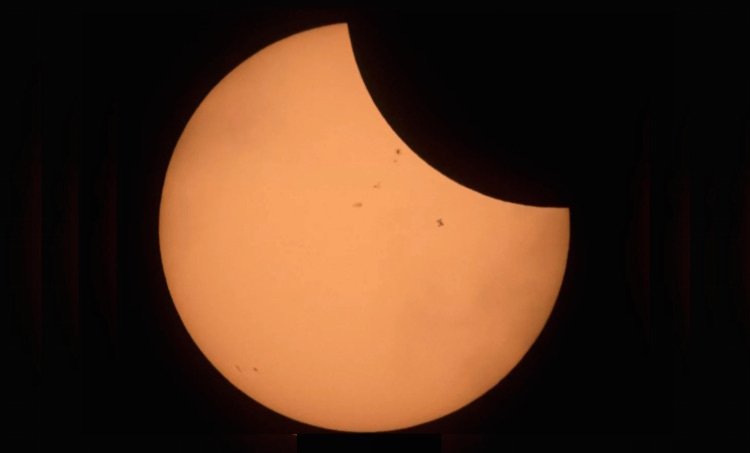 NASA posted some incredible photos, and the International Space Station Twitter account shared one of them (above) that captured the photobombing of its orbiting spacecraft in front of the eclipse’s path. The cluster of dark blurs are sunspots but below them and to the right, you can even make out the station’s distinctive solar arrays. 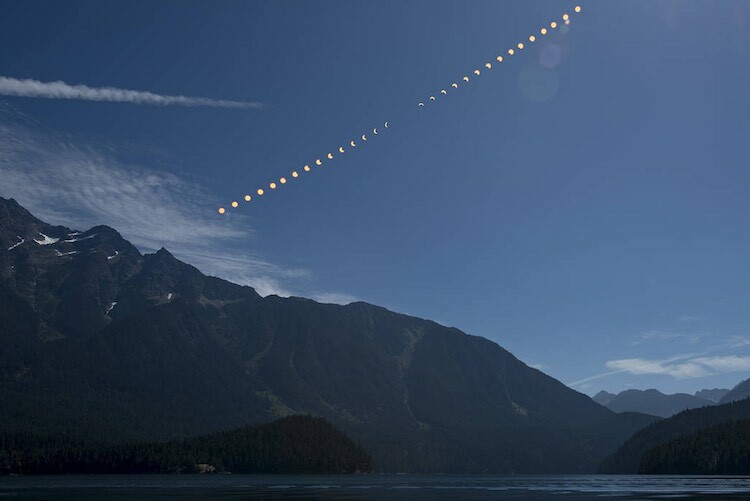 Another image was a composite showing the progression of a partial solar eclipse over Ross Lake, in Northern Cascades National Park, Washington. 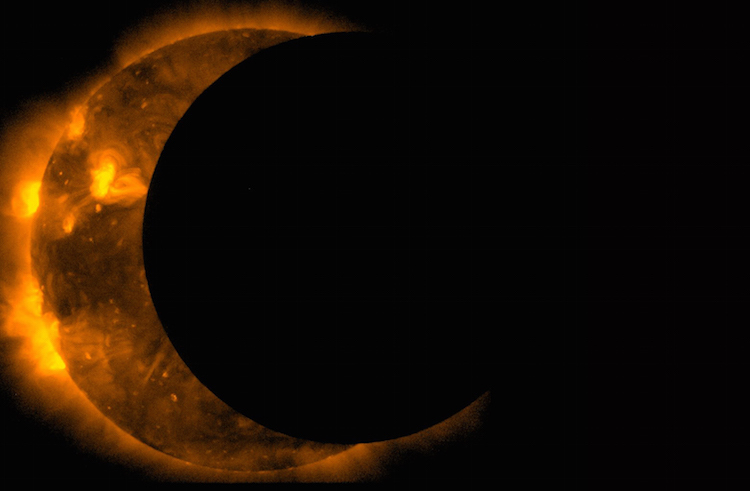 We all had to wear glasses, but looking at the phenomenon through other light spectrums, NASA’s Solar Dynamics Observatory had a magnificent view of the eclipse with their telescope, using 171 angstrom extreme ultraviolet light.